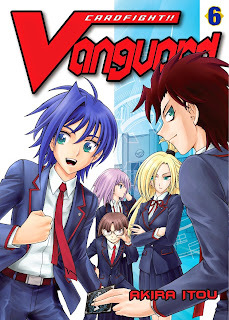 Vertical Inc.'s English translation of the sixth volume of Itou Akira's Cardfight!! Vanguard manga will go on sale on the 26th of this month, marking the beginning of the Link Joker arc of the English manga. This is a unique time for fans of the manga, as the international scanlation efforts of years past stopped at volume 4, and raw scans of the manga dropped off with the previous volume. The end of May is the first time that even many veterans will be experiencing these chapters of the manga in any language. Readers can purchase the volume at Amazon; it's currently priced at just under $10. Advanced copies of the sixth volume are currently being sold at a discount at the Anime Central convention in Chicago, alongside Attack on Titan, Dream Fossil and Ajin: Demi-human. Like past Vertical releases, this volume includes a promo card packaged on the interior cover. The previous volume included the Chapter 0 of the series, which was only published as part of a special release in Japan. 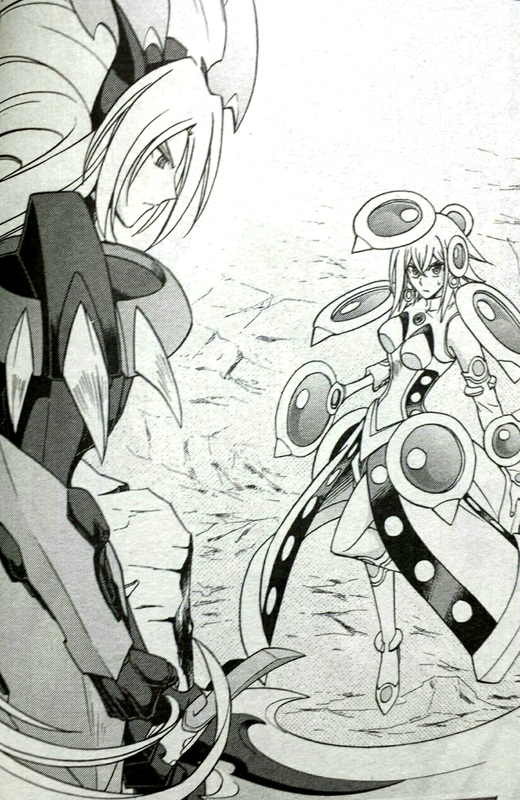 Volume 6 covers the introduction of the Tatsunagi group, Kourin and Rekka, and their returning elder sister Suiko. It is also the debut of Ishida Naoki in the manga and of the Narukami clan. Key confrontations in this volume include Kourin and Misaki's initial battle, giving rise to a character arc which has just lead to a final resolution between them in the latest chapters of the Japanese manga. This volume also includes the first appearance of the Magus series cards from VG-EB07: Mystical Magus; the Magus subclan was designed from the ground up by Itou for the extra booster. 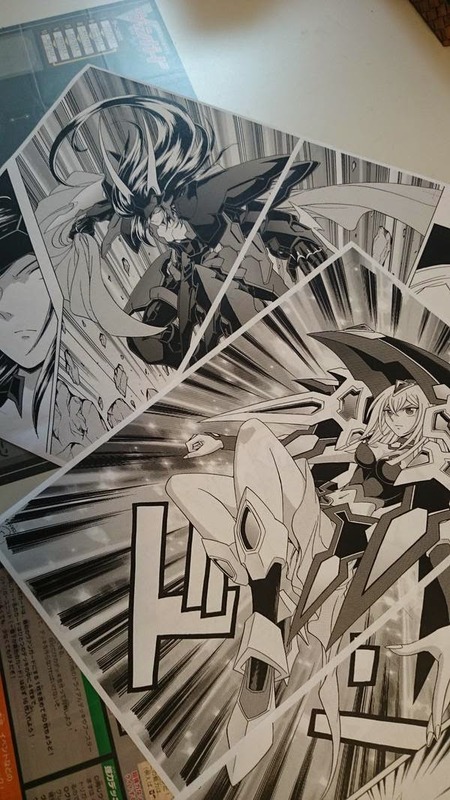 Itou's production drawings for Raven Haired Ezel and Pentagonal Magus. Original image uploaded by Itou Akira.